The Iraqi government, backed by the United Stated for years, is now taking another independent geopolitical step towards its neighbors, Iran and Syria, as well as Russia – it’s going to share intelligence without Washington’s approval. 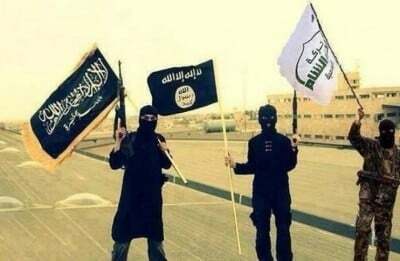 Just two days later, the Iraqi army announced it has started the regular exchange of intelligence concerning ISIL terrorists with Russia, Syria and Iran, that would “participate in collecting information about ISIS terrorism.” The arrangement is significant for country’s security, it reads, as Iraq is concerned that thousands of volunteers joining the Islamic State have come from Russia, The New York Times reports. The agreement was reached without ever asking Washington and announced this Sunday, The Times writes. This yet again irritated the US, which has got used to thinking of Iraq as a country with a government under its control and a vital member of the US-led coalition against ISIL.The American reaction was somewhat sharp. Their objection targeted Syria’s Bashar Assad government.“We do not support the presence of Syrian government officials who are part of a regime that has brutalized its own citizens,” a spokesperson for the anti-ISIL coalition, based in Baghdad, US Col. Steven H. Warren, said. US Secretary of State John Kerry briefly commented at a meeting with Russia’s Foreign Minister Sergei Lavrov on Sunday, held on the sidelines of the United Nations General Assembly, that the issue is currently being coordinated with Russia. And a senior DoS official at a press briefing described the stance of Washington in a little bit greater detail.“[W]e’re just at the beginning of trying to understand what the Russians’ intentions are in Syria, in Iraq, and to try to see if there are mutually beneficial ways forward here. We’ve got a long way to go in that conversation,” the official explained. Russian President Vladimir Putin and US President Barack Obama are scheduled to meet on Monday, September 28, in New York and to address different issues. But first and foremost is the coordination of efforts in the Middle East. The US has been officially providing military assistance to Iraqi armed forces for billions of dollars; there are some 3,500 American military personnel of various ranks and specializations deployed around the country. However, it’s less broadly known that Russia was the very first country which provided warplanes so crucial for the strategic defense of the capital city Baghdad, Tikrit and other areas from rapidly advancing forces of Islamists in 2014. Nicknamed ‘flying tanks,’ Sukhoi Su-25 Frogfoot armored ground attack aircraft arrived amid the siege of Baghdad and helped stop the lightning-fast offensive of jihadists that summer, as the Iraqi Defense Ministry stressed later. The urgent delivery was provided after the United States delayed its shipment of F-16 fighter jets, which the Iraqi Air Force had planned to use in the fight against Islamic militants. “The delivery of these jets [Su-25] was conducted in the framework of international support of Iraq in its fight against terrorism. Fast and timely delivery of aircraft by Russian military aviation experts was due to connections between Russian and Iraqi government,” the ministry said in a statement on February 1, 2015. Iraq’s Defense Ministry announced in this statement also that its Army Air Corps had received a new shipment of two Russian Mil Mi-28NE Havoc anti-armor attack helicopters. In addition, Russia reportedly supplied to Iraq multirole Mi-35 Hind attack helicopters, TOS-1A heavy flamethrower systems, Pantsir air defense systems, Dzhigit support launching units, artillery and other ammunition. Russian Foreign Minister Sergei Lavrov at a meeting with his Iraqi counterpart last spring stressed that Russia is committed “to continue to provide assistance to Baghdad in order to strengthen its defense in the face of this threat, ensuring the unity, territorial integrity of the state and non-interference from outside in its internal affairs.”Lavrov then pointed out that Russia considers its direct military-technical assistance to Iraq to be a “real contribution to the success of the fight against terrorism.”Iraq is currently combating the Islamic State of Iraq and Levant (ISIL) jihadist group, which gained a foothold in the country in summer 2014. The group, which has also been operating in Syria since 2012, has captured vast areas in both countries and proclaimed a caliphate in the territories under its control.